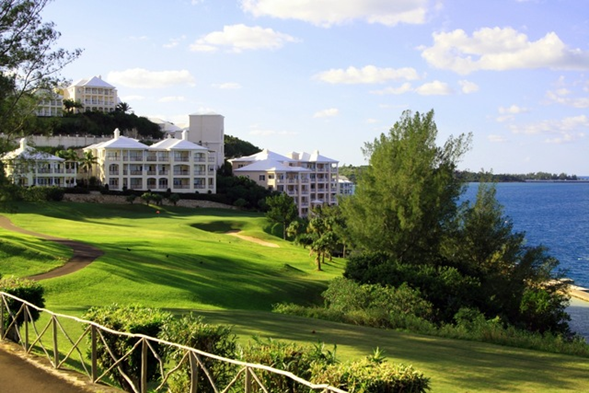 Distinctly Bermudian in style and character, with an uncompromising emphasis on privacy and luxury, Tucker’s Point Golf Club is part of one of the finest resort communities in the world. World-class in its ambition and scope, it is set on more than 200 acres of rolling hillsides in Tucker’s Town and overlooks a glorious turquoise sea. 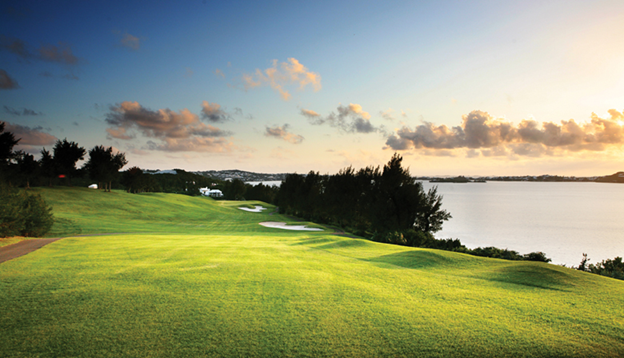 The 18-hole, par-70 Tucker’s Point Golf Course is Bermuda’s premier golf experience – as scenic as it is challenging. Originally designed in 1932 by Charles H. Banks, the course was completely redesigned in 2002 by Roger Rulewich. 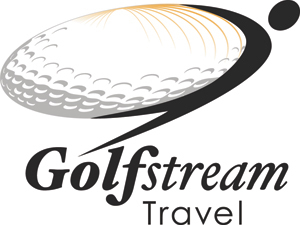 Golfers traverse undulating fairways with many elevated tees, while coping with the varying speed and direction of changeable winds; holes and greens, meanwhile, showcase dramatic water and overland views. The green itself features TifEagle, a Bermuda-grass hybrid that makes for a quick putting surface, while a practice facility includes a driving range, a 10,000-square-foot practice putting green and a short-game area. 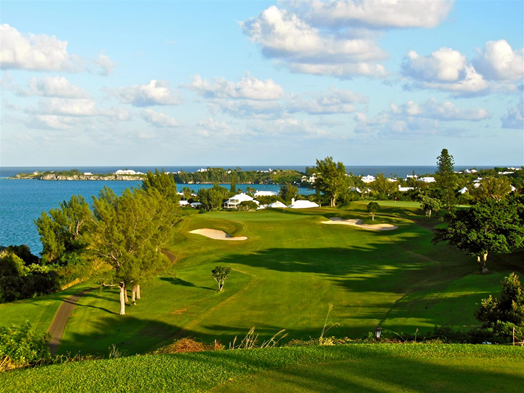 Tucker’s Point Golf Club, located on a panoramic hilltop, reflects signature Bermudian ambiance in its easy, elegant charm. It includes Sul Verde, a Golf Pro Shop and full-service locker rooms with complimentary day lockers. Sul Verde serves lunch and dinner daily, while the Pro Shop carries an extensive selection of merchandise from top brands such as Adidas, Fairway & Greene, FootJoy and Titleist. The highest quality rental irons are available for men and women. To help navigate the course and add to guests’ golf experience, Tucker's Point Golf Club offers GPS guided golf carts. Carts are recommended for non-members. 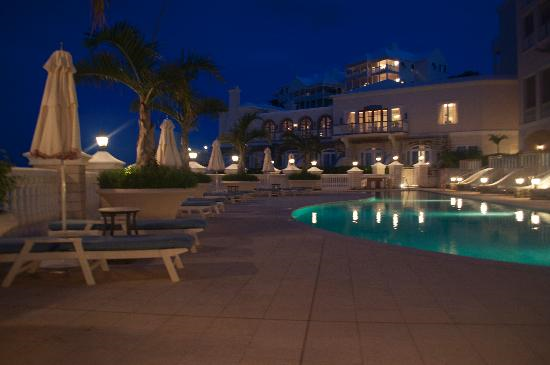 Villa Deluxe Rooms are situated in three independent buildings separated from the Manor House. Due to their location, these units feature additional privacy and space, five-fixture baths and many have walk-in closets. The sitting area in each deluxe guestroom opens onto an expansive balcony or terrace furnished for al fresco dining and relaxation. The Villa Deluxe Rooms connect to a parlor and adjoining deluxe bedroom to create a one or two bedroom suite configuration, if desired. Villa Rooms are accessed via the 77 steps of the Castle Harbour Grand Staircase and offer a waterfront view of Castle Harbour from a private expansive balcony. Manor House Poolside Deluxe Rooms offer the space and comfort of Deluxe Rooms with easy access to the Castle Harbor Pool. 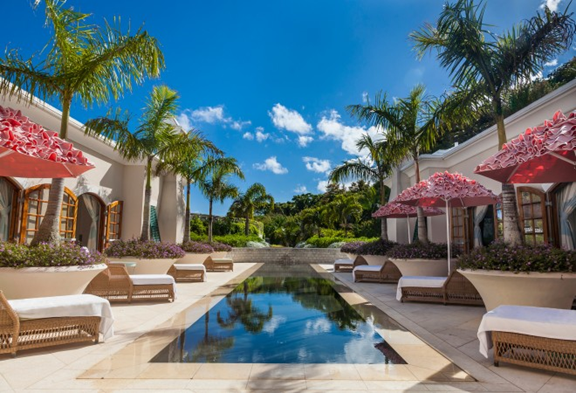 This includes access by terrace to private poolside alcoves outfitted with canopied daybeds, perfect for relaxing beneath the palms by day or by the romantic lantern glow poolside each evening. Each Manor House Deluxe Room features a king-sized bed and sitting area that opens onto a furnished balcony or terrace. Many also offer walk-in closets. 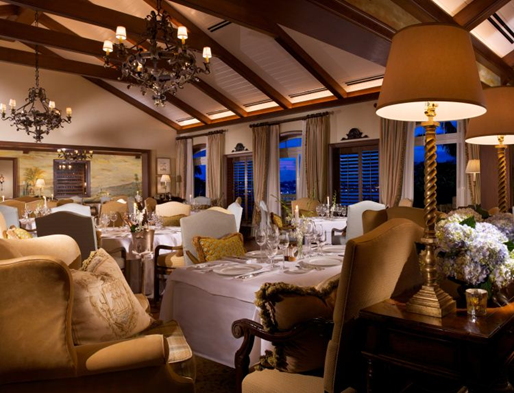 Located in the Manor House, these rooms offer a waterfront view of Castle Harbor and 600 sq. ft. of space. Manor House Superior Rooms offer two queen-sized or one king-sized bed, built-in wardrobes, and stylish furnishings in 500 sq. ft. of space. Located in the Manor House, each Superior Room features a balcony with waterfront views of either Castle Harbor or Harrington Sound. The Bermuda spa resort's world-class Sense® spa offers a soothing escape from the everyday, with relaxing beauty treatments inspired by the island’s rich culture ranging from massages and facials to manicures and pedicures. In this indulgent atmosphere, complete with a luxurious relaxation room and serene reflecting pool, guests can relax, rejuvenate and revive the mind and body. Salon services are available for advance bookings. 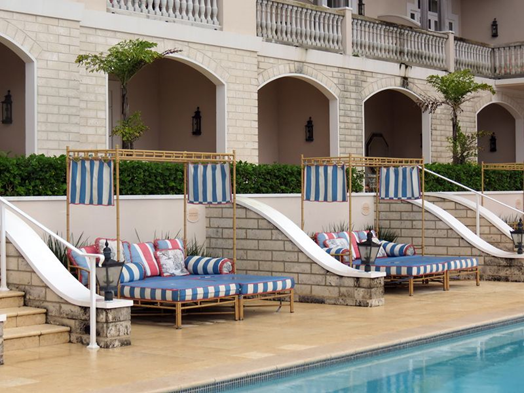 An all-in-one facility dedicated to pleasure and leisure, the Beach Club not only includes Bermuda’s largest private beach, but also two freshwater swimming pools. The Horizon Pool is reserved for guests aged 13 and older, while the Fountain Pool is perfect for families with young children. Diners will delight at the seasonal open-air restaurant Sur Mer, dining terrace and bar pavilion, which overlooks the picturesque South Shore and the Atlantic Ocean. With the shaded pergola perched above a pink sand beach, this offers a dramatic setting for lunch and dinner - offset by the casually elegant atmosphere and simple, sophisticated menus. With Beach Club amenities available April through October, guests need not worry about the details. For guests’ comfort and convenience, beach attendants will be on hand to assist with towel service and chair set-up, along with food and beverages. In the fall and winter months, the beach remains open from sunrise to sunset, but only limited service is available. Special events can be arranged. For fans of snorkeling, everything a guest might need is available for rental from Rosewood’s Watersports Hut, located at the entrance of the Beach Club. Visitors can rent a mask, a snorkel and fins , and explore the reefs just off the shores of the private beach. The Dive and Watersports Center, meanwhile, is located just a short tram ride away, on the shores of Castle Harbour. The Point Restaurant & Terrace brings together international cuisine and fresh local ingredients for a fine dining experience like no other. 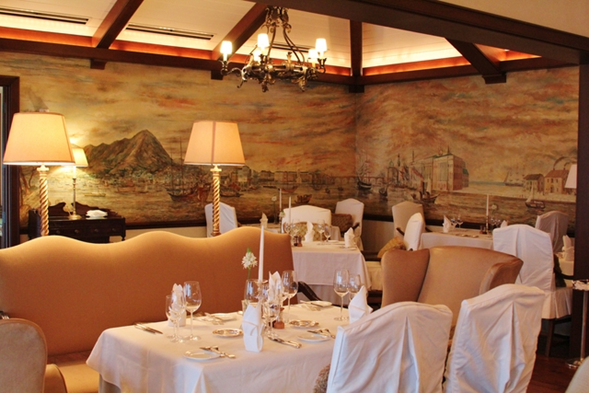 Serving breakfast, lunch and dinner, the restaurant also displays Pan Am's one-of-a-kind Sky Club murals, depicting the world's major ports of the 1880s in the unique style of Eurasian artist Gerard Henderson. Thousands of bottles of wine fill the Wine Room at The Point Restaurant & Terrace, covering the walls from the wood-plank floor to the vaulted brick ceiling. Together with petite sconces and candlelight, it create an intimate atmosphere for dinner parties and a la carte dining. Chef Guido Brambilla has taken inspiration from the Pan Am Sky Club Murals on display at the Point and created a 10-course epicurean journey highlighting the ingredients and culinary style of 19th century ports of call around the globe. From caiparinhas and ceviche from Rio de Janeiro, to a classic Bermudian Fish Chowder, diners embark on a 5, 7, or 10-course journey that pleases the palate and nourishes the soul. Open daily, Sul Verde specializes in rustic Italian cuisine and features an antipasti buffet along with traditional primi and secondi courses served family style. 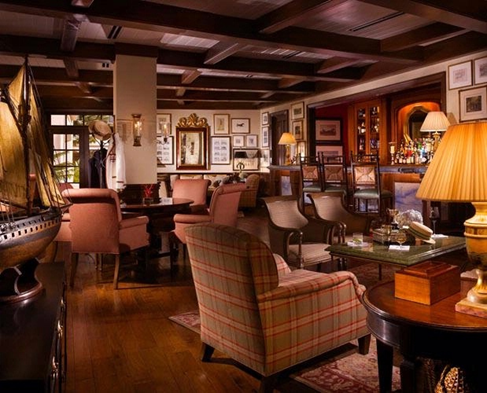 An extensive Italian wine list and homemade infused grappas are also a house specialty. For a more casual atmosphere and simple yet sophisticated menu, the Beach Club offers seasonal al fresco dining with a dramatic ocean view at Sur Mer. Diners enjoy an exquisite menu of freshly prepared dishes featuring the local Fruit de Mer, prepared with inspiration and flavors evoking the Provençal region of France. The menu includes classic bistro items such as Cassoulet and Duck Confit, as well as dishes showcasing fresh local seafood such as La Nôtre Bouillabaisse and Cod Meuniére. With seating just steps away from the sand and views of the Atlantic Ocean, Sur Mer is the premier beachfront dining experience in Bermuda. Guests lounging at the resort’s Horizon and Palm Court pools can enjoy fresh beverages and light meals, while visitors to Sense spa can enjoy a light meal at the reflection pool while waiting for treatments. 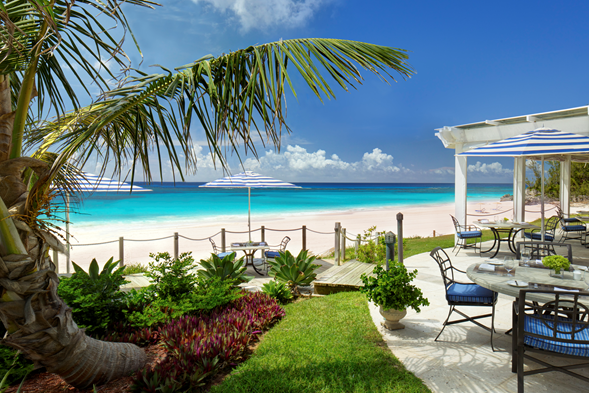 With its sweeping views of jewel-green hills and cerulean blue Atlantic waters, Rosewood Tucker’s Point offers an iconic tropical getaway with unexpected British charm. 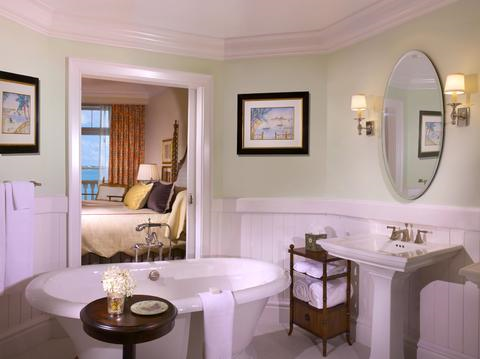 From the fine marble stonework in each private bath to the bone china at the Point, every element of the Bermuda hotel’s decor and service projects an effortless elegance and luxury designed to ensure guests feel like royalty. 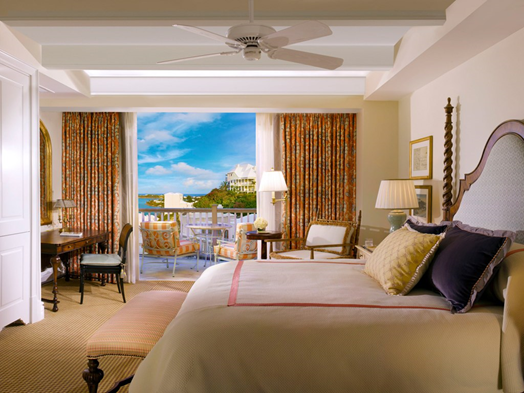 Open since 2009, this Bermuda beach resort has quickly gathered accolades and praise from travel and consumer organizations as a romantic dream getaway.